Conversion put me in a complicated and comprehensive chaos. I sometimes wonder, when I hear other Christians pray for the salvation of the “lost,” if they realize that this comprehensive chaos is the desired end of such prayers…. Sometimes in crisis, we don’t really learn lessons. Sometimes the result is simpler and more profound: sometimes our character is simply transformed. Rosaria, by the standards of many, was living a very good life. She had a tenured position at a large university in a field for which she cared deeply. She owned two homes with her partner, in which they provided hospitality to students and activists that were looking to make a difference in the world. In the community, Rosaria was involved in volunteer work. At the university, she was a respected advisor of students and her department’s curriculum. 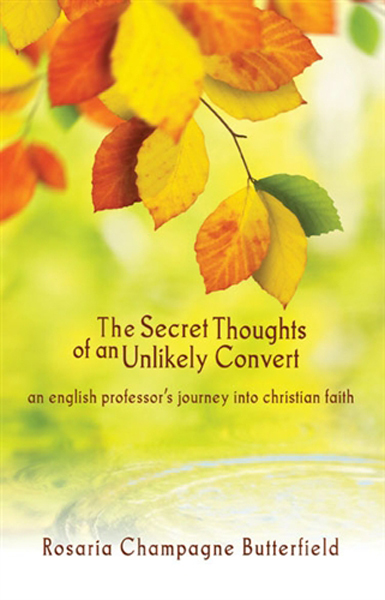 Then, in her late 30s, Rosaria encountered something that turned her world upside down—the idea that Christianity, a religion she had regarded as problematic and sometimes downright damaging, might be right about who God was. That idea seemed to fly in the face of the people and causes that she most loved. What follows is a story of what she describes as a train wreck at the hand of the supernatural. These are her secret thoughts about those events, written as only a reflective English professor could. Rosaria and her husband, Kent, live in North Carolina with three of their four children, where Kent serves as a pastor in a Reformed Presbyterian church.